It has been known to many that actress, model and singer Lindsay Lohan struggled with alcohol abuse, drug addiction and theft, spending her fair share of time in and out of courtrooms and jail cells. Her mug shots have appeared on television and across the web. Her first encounter with the law occurred in 2007 for a DUI, possession of cocaine and a hit-and-run. From then until 2015, she was put on probation numerous times, violated several of those probation periods and refused to attend some of her hearings. She rarely completed her mandatory community service, which sent her back to court and got her sentenced to jail for various lengths of time and amounts of bond. Given that children and teenagers often look up to actors and musicians, Lohan, who starred in films such as “The Parent Trap,” “Freaky Friday” and “Mean Girls,” was likely a role model for millions of children. However, once her reckless behavior begun, that status surely diminished. 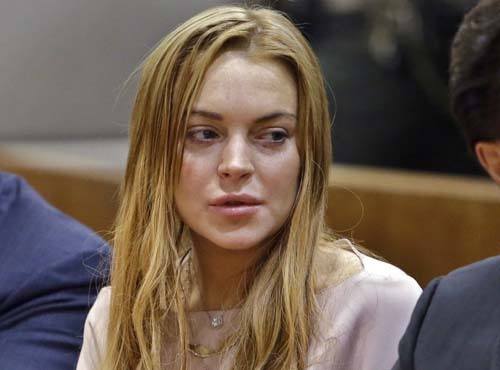 Lindsay was sentenced to rehab centers multiple times during her struggle with alcohol and drugs. She eventually turned her life around, taking the rehab and community service seriously. The last of her probation ended in 2015. In recent years, Lindsay has appeared in interviews on “Extra,” “E! News” and “The Wendy Williams Show.” Her past was a prominent subject but so was her current life and success. Yes, despite her previous troubles, Lohan is successful in multiple areas of her life. She has created various beauty lines, opened nightclubs and beach clubs in Greece and Dubai and will soon create Lohan Island in Dubai. These achievements might sound a bit on the unrealistic side, especially for someone who couldn’t stay sober for years, but Lindsay is making it work with her newfound love for herself and for life. In fact, she has shown so much change that everyone could take a few lessons from her. Here are five messages Lohan radiates that her fans can look up to. All of Lindsay Lohan’s wild behaviors started and ended in LA, as she surrounded herself with party people and the lifestyle of the people in the city. She moved to London at one point after her sobriety and later moved to Dubai. She realized that LA was the wrong place for someone like her and anyone trying to get sober. 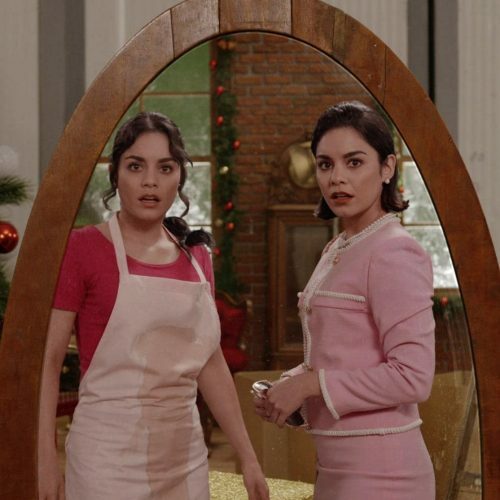 Her realization here shows that she knew when to leave and how to save herself from any further damage. It might not be the easiest thing to do, but once you realize the importance of your health and happiness, it is the only thing to do. Lindsay fell in love with Dubai and its calm atmosphere. She mentions in multiple interviews that paparazzi are banned in the country, so simply walking outside is no longer difficult because she isn’t bombarded with cameras and flashing lights. She highlighted the importance of finding serenity for yourself wherever it might be. The happiness someone can find in a peaceful environment is tremendous, and in Lohan’s situation, it has been one of the best things to happen to her. Now, she is able to work on her career and personal goals without the drama of LA. That said, drama still follows her on occasion because even though she lives nowhere near California, people there still talk about her. She stated that while in Dubai, she received an email from someone in the U.S. saying that they had heard she got married in her new home country. No matter where she went, traces of her still lingered in the U.S. However, the star has come to understand that her own truth and happiness is what’s important. She did not let this rumor affect her in the slightest; she kept to her own business and life outside of the U.S. Many of her interviewers have been curious about the truth of Lohan’s relationship status and love life. While she doesn’t see a relationship as a priority at the moment, she said that when it happens, it happens. She let fans know that the priority should be loving yourself first. “Be okay with you,” she said. She expressed her concern and care for children in other countries like Turkey who don’t have families, and she has participated in volunteer work to support them. Her focus is currently on herself, her career and volunteering. When the time is right, she’ll find love and her own family. Lohan is an example of someone who can change despite what they’ve been through in the past. She has turned herself around onto a path of accomplishments. Allowing people to come back into your life and giving them another chance after they have made many mistakes takes guts but shows forgiveness. Lohan is almost signed on to the sequel of the movie “Life-Size” with Tyra Banks, and in an interview, Tyra Banks announced her love for and faith in Lohan. She wants her co-star in “Life-Size 2” because it wouldn’t be the same without her, and she deserves a second chance just like anyone else. Banks believes Lohan has changed for the better and supports her regardless. Giving people second chances lets them prove the haters wrong, and as Lohan said in another interview, the haters won’t get rid of her because she’s here to stay. The last element Lindsay hits in all of her interviews is the difference between the past and the future. She knows that no one should be defined by their past. Lohan noticed that people tend to focus on the negative even though years have passed. Stirring up what is in the past is useless, and although she does talk about it, particularly in interviews, Lohan doesn’t focus on the behaviors she had then. She is content with focusing on her present and the opportunities she looks forward to in her future, which she says will include more acting roles.